Fruit trees are a wonderful way to make your landscape more beautiful and productive. 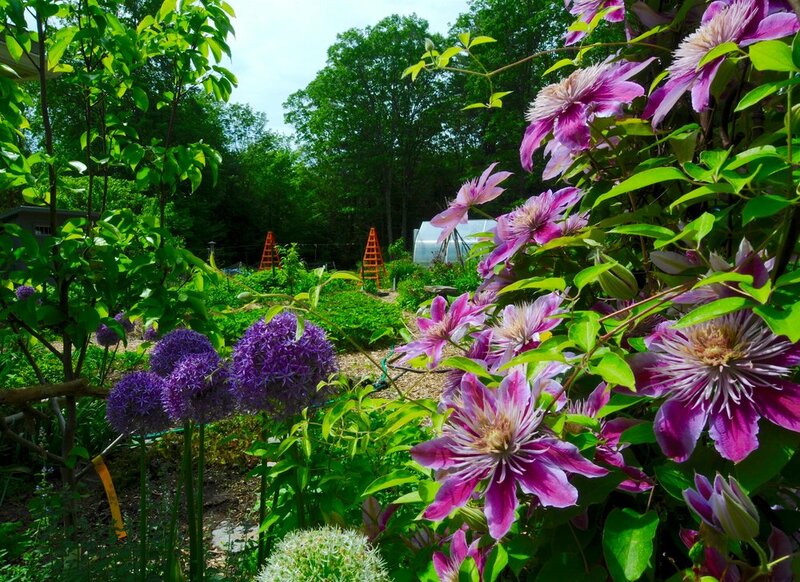 HomeHarvest specializes in growing an amazing array of perennial fruit trees, berries, nut trees, medicinal and culinary herbs, and flowers that grow well in this region. 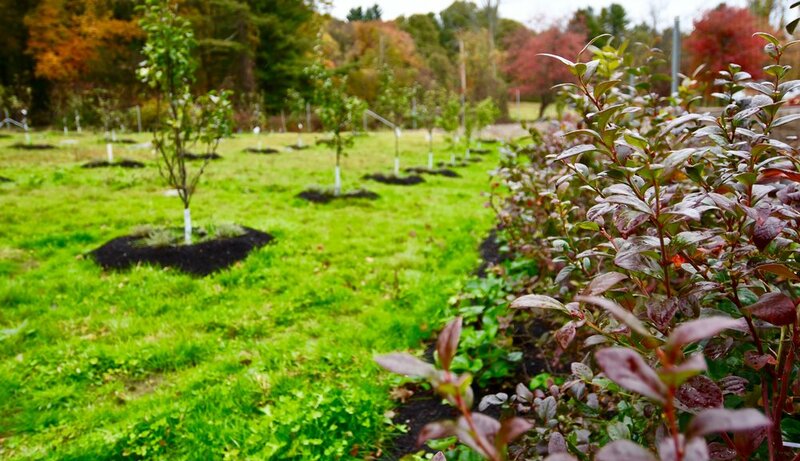 We incorporate our fruit trees and perennial edible plants into our customers' landscapes such that they look attractive and harmonious with the surrounding landscape. Sometimes this means that our flower gardens incorporate attractive fruit trees and look more like ornamental gardens. Sometimes this means that we install an orchard grid that is organized and cohesive. Most of our fruit trees initially are about 6'+ tall and many bear fruit their first or second year. 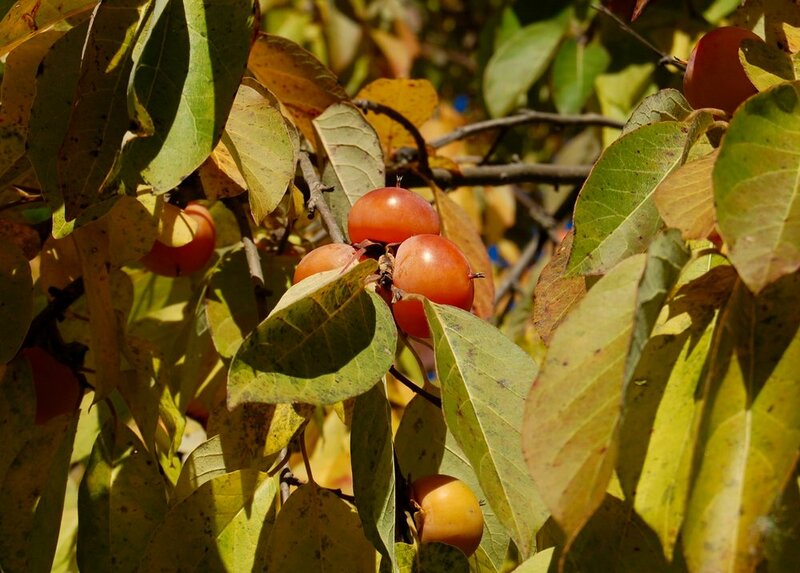 Our favorite fruit trees are American persimmon, Asian pear, and paw paw because of their ease of growth, aesthetic benefits, and overall success in this climate. We also love apple, peach, plum, chestnut, walnut, apricot, mulberry, figs, and berries such as blueberries, elderberries, raspberries, blackberries, strawberries, gooseberries etc. We sometimes take a permaculture approach, which entails a creative combination of different plants that grow well together. This can result in an over story fruit tree planting with herbs, flowers, and other berries planted underneath the fruit trees. 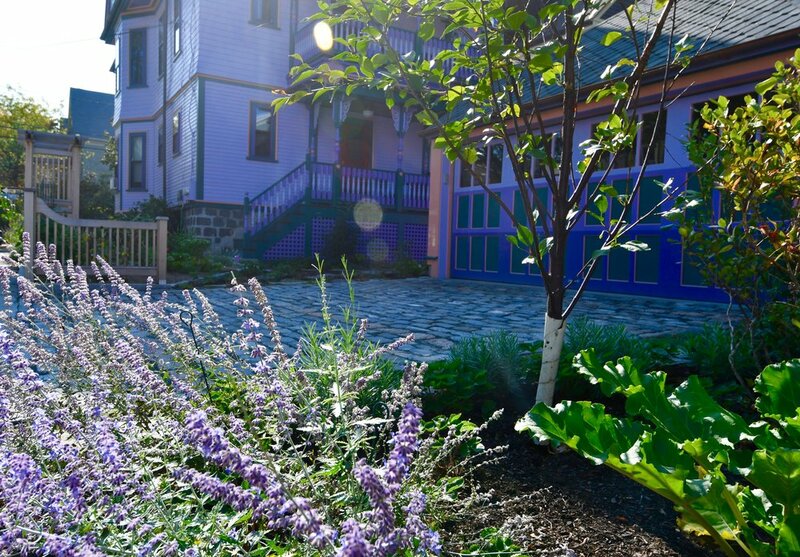 This aesthetic can be attractive, more productive, and lower maintenance because of the competition with potential weeds. We love all forms of growing food! Raised beds and annual kitchen gardens are awesome, however, they require maintenance to keep the yields consistent. Fruit trees, however, when designed and planted in the appropriate spaces, add value and higher yields each season and the maintenance decreases as the trees become established. We recommend a combination of different types of edible plants so that you enjoy a rich combination of flavors throughout the season. Biodiversity is the best strategy for garden resilience and many delicious fruits can be grown in this region. We also install irrigation, deer/critter fencing, raised beds, and flower gardens. It's possible your deer fence can function as a grape, flower, or plant trellis to increase the beauty and multi-functionality. So much potential! Let's make your property more beautiful and productive!